Hallmark really stepped their game up this year. Hallmark is known for their sentimental films that always bring all of the feels. Some warm your heart, some make you cry, but all of them are worth watching. Around Christmas time Hallmark pulls out all of the stops and brings their A game with their movie line-ups. Here is everything you need to know about the Hallmark Christmas movies 2018 schedule. 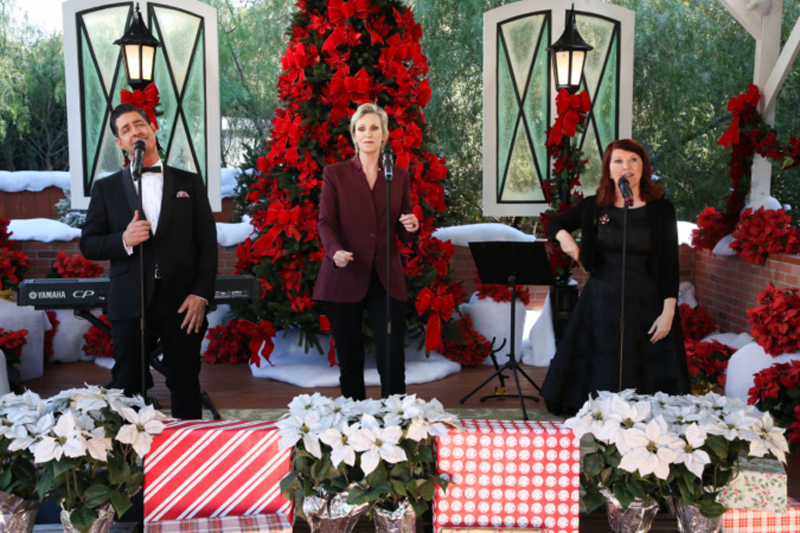 Hallmark kicked off the holiday season the last weekend in October with their premiere of Christmas at Pemberley Manor. The film about an event planner looking for the perfect place to host a party (which is also, of course, a love story) was the first film to come out for Hallmark's Countdown to Christmas lineup. The first week in November also brought some more holiday treasures from the popular channel. Christmas Joy, based on Nancy Naigle's popular novel and starring Danielle Panabaker premiered on Nov. 3, and the heartwarming love story was a hit. Road to Christmas starring Jennifer Grey came next followed by It's Christmas, Eve and then Christmas in Love which is about a girl who meets a big-time CEO a few weeks before Christmas, and you guessed it, falls in love. There are still plenty of films left to premiere for the line-up of Hallmark Christmas movies 2018. In fact, audiences have not even scratched the surface of the Countdown to Christmas portfolio. Christmas at Graceland (Nov. 17) starring Kellie Pickler follows a mom who takes her kids to Memphis while she's on a business trip, and while there bumps into an old flame of hers and must decide what to do with her unresolved feelings. The next day Christmas in Evergreen: Letters to Santa (Nov.18) the new film from director Sean Mcnamara premieres. The rest of the month of November brings more feel-good holiday films including Reunited at Christmas (Nov.21), Christmas at the Palace (Nov. 22), Pride, Prejudice, and Mistletoe (Nov. 23) and A Shoe Addict's Christmas (Nov. 25). On Nov. 24 Hallmark is showing the film, Christmas Everlasting, which is the only film in the Countdown to Christmas repertoire that is a Hallmark Hall of Fame Presentation. Christmas Everlasting has a star-studded line-up with Patti LaBelle, Dondré T. Whitfield, Dennis Haysbert and Tatyana Ali in the cast. The December line-up of Hallmark Christmas movies 2018 is just as impressive as the previous month. Mingle All the Way (Dec. 1) follows a dating app developer and her quest to prove her apps worth, she decides to use the app and track its progress on herself a few weeks before Christmas. Other films premiering at the beginning of December include A Majestic Christmas (Dec. 2), Homegrown Christmas (Dec.8) and Welcome to Christmas (Dec.9). Entertaining Christmas (Dec. 15) premieres next and stars Fuller House's Jodie Sweetin. A Gingerbread Romance (Dec.16) follows soon after and stars Tia Mowry-Hardrict and Duane Henry. Countdown to Christmas continues with Jingle Around the Clock (Dec. 22) and Christmas Made to Order (Dec. 23). 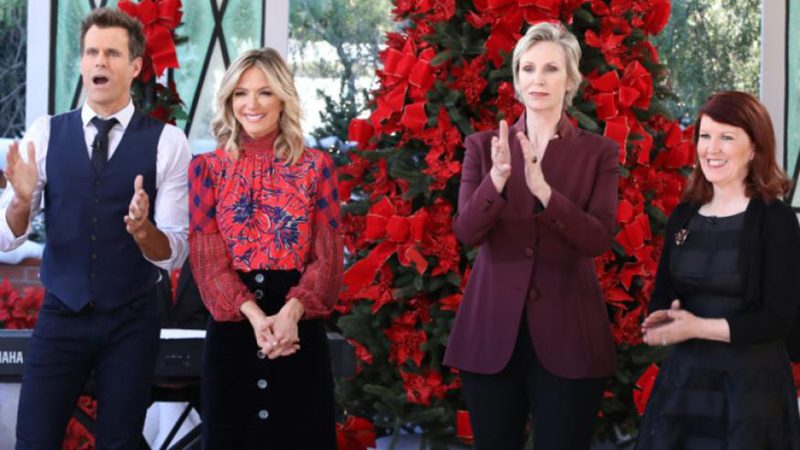 On Christmas Day, Hallmark is showing When Calls the Heart: A Christmas Wishing Tree, the next installation in the popular When Calls the Heart series. The last film in the Hallmark Christmas movies 2018 line-up is A Midnight Kiss (Dec.29) the film stars Carlos PenaVega and Adelaide Kane and takes place around New Year's Eve. All Hallmark Christmas films premiere at 8 p.m. More info on all of the holiday Hallmark films is available on their website, DVD's of each film are also available for purchase. Full movies are not available to stream on the site but there are trailers for most.